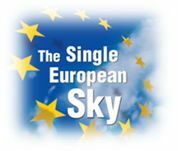 The Single European Sky is an ambitious initiative launched by the European Commission in 2004 to reform the architecture of European air traffic management (ATM). It proposes a legislative approach to meet future capacity and safety needs at a European rather than a local level. SESAR (Single European Sky ATM Research) is the technological dimension of the Single European Sky. It will help create a ‘paradigm shift’, supported by state-of-the-art and innovative technology. SESAR aims to eliminate the fragmented approach to European ATM, transform the ATM system, synchronise all stakeholders and federate resources. The SESAR Joint Undertaking (SJU) was created under European Community law on 27 February 2007, with Eurocontrol and the European Community as founding members, in order to manage the SESAR Development Phase. by Respicio A. Espirito Santo Jr. This past Tuesday, December 15, 2009, the Boeing 787 Dreamliner made its first flight. As widely reported in the last 2 years, the development of the aircraft was quite turbulent, in part largely due to the complexity in dealing with several new technologies in materials (surely one of the greatest advances of the 787), new systems, new concepts, and also due to the management and logistics of design/production between Boeing and hundreds of new partners and suppliers. Even with all these setbacks, but owing to its promised extraordinary efficiency and performance, the aircraft is the most successful in terms of orders “before-first-flight” in Boeing’s commercial aircraft history. For all of this and much more the 787 has everything to become a milestone in the history of commercial aviation. From its introduction into airline service, all other large/medium commercial aircraft must incorporate new design philosophies and concepts, since only speaking of “new technologies” is totally redundant. Therefore, sets of paradigms will be broken and new ones will be created. I foresee that in 40, 50 years the airline industry, the press, regulators, legislators and the worldwide society will be referring to something like “… before the 787, the general view was that …” or maybe “… the aircraft imposed a vast new range of parameters in terms of efficiency and comfort to passengers and airlines…”. However, for all of this to happen in the most positive and constructive ways for the airline industry and, most of all, to passengers and would-be-passengers in the world, it is essential that the 787 becomes an absolute success. And I write these words because not only Boeing’s Commercial Aircraft Division depends on a fully successful 787; the Dreamliner success will also spur a continuous and an indispensable search for the highest-possible safety added to efficient and environmentally friendly designs on Airbus, Embraer, Bombardier, ATR and in all other commercial aircraft manufacturers, especially those that seek to (re)enter the market, such as Sukhoi, Mitsubishi and the new companies in China, Russia and, probably, India and Korea. In other words: the success of all other aircraft manufacturers also depend on the 787 being extremely successful. Whether only on the ‘politically correct’ side or on a sincere appreciation, the official statement from Airbus on the first flight of the 787 expresses a great truth: the constant advances in commercial aviation are a direct and positive result of competition. For this and much more, all of us citizens of the World must hope and cheer so that the 787 Dreamliner may become a complete success and a great milestone in the history of commercial aviation. In addition, applicants for this course should normally have GCSE Mathematics at grade C or above, or equivalent. The demand for air transport of both passengers and goods continues to increase. People wish to travel more often and further for both leisure and business pursuits. The globalisation of supply chains challenges land-based transport infrastructure, resulting in the enormous growth of air freight. This innovative course is the first to link the general principles of airline and airport management to the discipline of logistics management and recognises the need for graduates who have a full understanding of the role of the aviation sector in supply chain management. 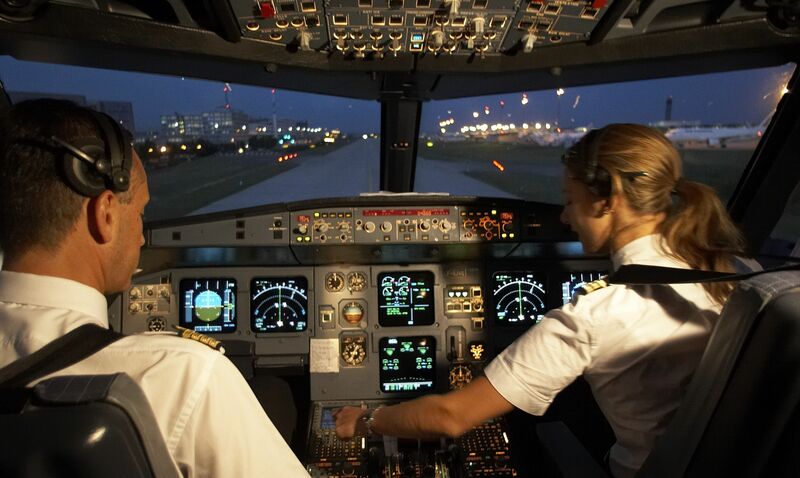 It will equip students with the knowledge and skills required for exciting and challenging careers in airlines, air freight, freight forwarders, express couriers and general logistics and supply chain management. The rewards are good and the career prospects excellent in a sector which has massive growth potential. You will spend the third year in a business or organisation involved in air transport and logistics operations. Through our excellent industrial contacts we ensure that you will obtain salaried placements of the highest calibre, providing competitive advantage in the graduate employment marketplace. Teaching methods include lectures, tutorials, seminars, workshops, role play, case studies, case projects and site visits. Assessment includes reports, essays, presentations, exams and case study analysis. Graduates from our other programmes in Transport and Logistics have recently secured jobs in the air transport and air freight sector including: Jet2, Malaysia Airlines, Cathay Pacific, British Airways, Lufthansa Sky Chef, TNT, DHL. Career opportunities in general logistics and supply chain management enterprises remain extremely buoyant. As with our other programmes, it is expected that this specialist course will meet the full educational requirements for membership of the Chartered Institute of Logistics and Transport (CILT). Exchange and placement opportunities exist in Australia, Finland, France, Germany, Netherlands, Norway and Hong Kong. Currently we have students from 14 countries and four continents studying transport and logistics in the University.